(January 29, 2019) Some things hurt too much, and this is one of them. We are extremely sad to inform SoulTrackers that legendary singer and songwriter James Ingram has died at age 66, after a long and very private illness, reported to be brain cancer. Ohio native Ingram first received attention in the late 70s as part of the band Revelation Funk and served as pianist for the legendary Ray Charles. But it was a 1980 demo tape on which he sang that became his unexpected career boost. He cut the demo of "Just Once," a Barry Mann/Cynthia Weil composition that was being delivered to Quincy Jones for possible inclusion on Jones's landmark The Dude album. Jones not only liked the song, he liked the singer on the tape and invited Ingram to provide the vocals to both "Just Once" and "One Hundred Ways" on The Dude. Of course, The Dude became an international smash and both Ingram cuts rocketed up the pop, soul and adult contemporary charts, ultimately landing Ingram a performance at that year's Grammy Awards as well as the trophy for best R&B vocal performance. Ingram's debut album, It's Your Night, was released to great anticipation, and it didn't disappoint. Led off by the smash duet with Michael McDonald, "Yah Mo Be There," Night was perhaps the best soul album of 1983 and was highlighted by the achingly beautiful ballad, "There's No Easy Way." Most of that album was also included on Ingram's 1991 greatest hits disc, The Power of Great Music, a nearly essential collection of romantic 80s soul music. Over the course of the next decade, Ingram's career took an unusual direction, as he became known almost exclusively as an adult contemporary duet artist. He consistently hit the charts in duets with Patti Austin ("Baby Come To Me," "How Do You Keep The Music Playing"), Linda Ronstadt ("Somewhere Out There"), Dolly Parton ("The Day I Fell In Love"), Kenny Rogers and Kim Carnes ("What About Me"), and Barry White, Al B. Sure and El Debarge (on Quincy Jones's "Secret Garden"), but his solo recordings struggled to find an audience. He broke his drought in 1990, taking the Thom Bell-produced ballad "I Don't Have the Heart" to number one, but never again had a major hit. 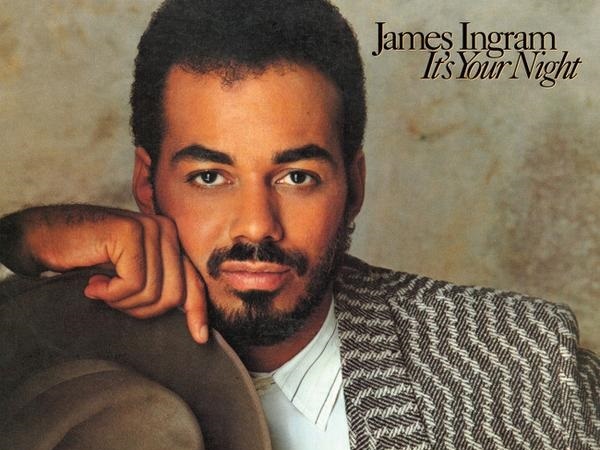 After a six year hiatus, Ingram released Forever More: The Best of James Ingram in 1999, which included re-recordings of some of his biggest hits along with some lesser new material. He also appeared as a guest vocalist on Michael McDonald's excellent In the Spirit holiday album in 2001. Ingram continued to provide guest vocals for a number of artists and was a regular participant in the "Colors of Christmas" concerts with Peabo Bryson, Roberta Flack and others. He also occasionally penned material for other artists such as Phil Perry and Brian McKnight. Ingram spent most of the early 21st century devoting his time to his family. He also performed regularly in Los Angeles and appeared in spot dates elsewhere. He remained active as a writer, teaming with dancer Debbie Allen to create seven plays, including the noted musical Brothers of the Night. He also became an active athlete, including a daily regimen of running, push ups, pull ups and stretching, and even participated in a marathon. While performing with Gospel harpist Jeff Majors, Ingram sang a composition he wrote called "Mercy." It won over the audience and sparked his interest in releasing an entire Gospel album. That came to fruition with the release of Standing (In The Light), his first full inspirational album, in 2009. The title track was inspired by his emotions as he observed on television the tragic results of Hurricane Katrina. Ingram continued to perform regularly on tours, but reportedly struggled with cognitive issues over the past few years, preventing him from reaching as many fans as his enviable career would have warranted. He performed his final concert more than a year ago. James Ingram will be remembered as a talented, very good man with a golden voice that graced dozens of songs that will remain a part of the soul canon for generations to come. All prayers for the family of this incredible star.